Ahead of the World Cancer Day Celebration on the 15th of February 2019, the Ilupeju Diamond Lions Club of District 404B-2, Nigeria, led by the President, Lion Toyin Igbinoba, confirmed that truly, where there is a need, there is a Lion. And that Lion Cares! As early as 8am, the club which is a mixture of ladies ranging in age between 30 and 80 years, gathered at the Oncology Ward of the Lagos State University Teaching Hospital, LASUTH, Ikeja, Lagos, to hand over the refurbished Female Oncology Ward to the hospital. On hand to represent the Lagos State University Teaching Hospital, was the Chief Medical Director, Professor Adetokunbo Fabamwo. 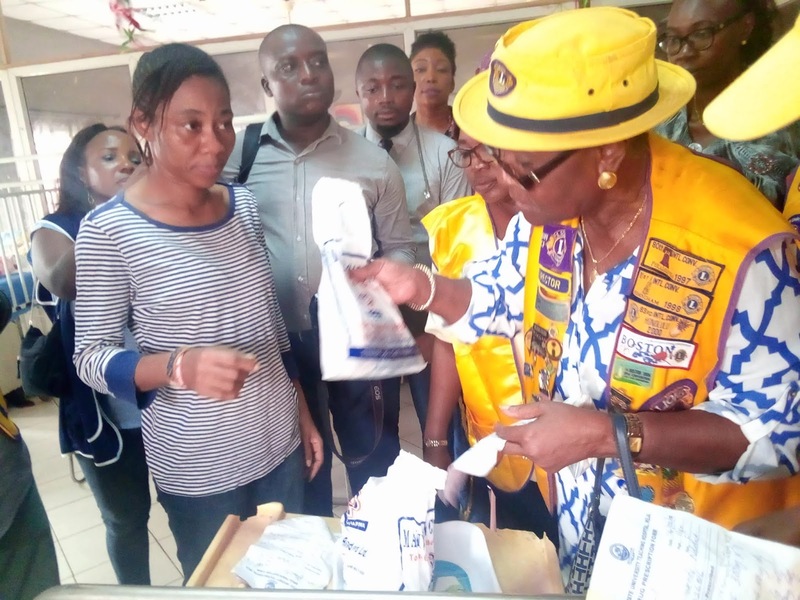 Though a Rotarian, the Chief Medical Director was visibly pleased by the philanthropic gesture of the Ilupeju Diamond Lions Club and could not hide it. In his short address before the formal opening of the Refurbished Female Ward, Professor Adetokunbo Fabamwo said, "On behalf of the entire management and staff of this teaching hospital, I must say that I am deeply impressed by your humanitarian gesture and support. This good deed of yours today, is an inspiration and I am happy to see you all come out this morning to present this Refurbished Female Ward to us. I know how this place was before, so i can tell the kind of work that has taken place here, to make this place look this beautiful. I thank you all and pray that God will bless you all enormously for this humanitarian effort that you have fulfilled." With those words, Professor Adetokunbo Fabamwo, officially commissioned the newly refurbished ward and declared it ready for use. 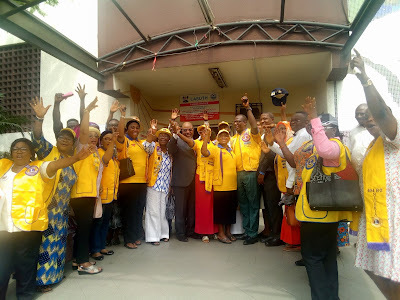 The Chief Medical Officer of LASUTH did not stop there, but also followed the Ilupeju Diamond Lions Club President and members to the multi storey building in another part of LASUTH large compound, which houses the Pediatric Cancer Patients Ward on the third floor. There, on behalf of the young cancer patients, Professor Adetokunbo Fabamwo received drugs donated by the Ilupeju Diamond Lions Club, to the children cancer patients. The President of the Club Lion Toyin Igbinoba, thanked the Professor Adetokunbo Fabamwo and his team and also commended the members of the club including the immediate past president Lion Olatundun Omosaiye, for their support in ensuring that the club successfully carry out this project. 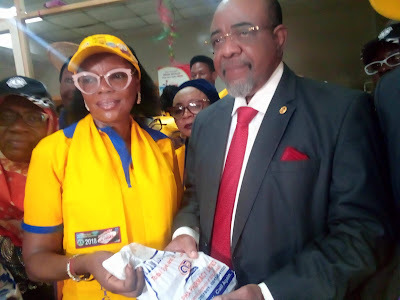 Lion Igbinoba also said that today's event was meant to take place on the 15th of February which would have coincided with the World Pediatric Cancer Day celebration. "But we had to move this programme forward to this morning because, of the politicking atmosphere in the country presently caused by the forthcoming presidential election in the next few days."